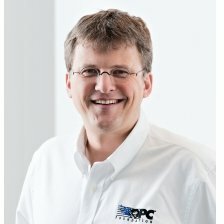 Stefan Hoppe is the OPC Foundation Vice President since 2015 coordinating the OPC expansion into the Internet of Things & Industrie4.0. Stefan has been the President of the OPC Europe organization since 2010 being the catalyst for initiating liaisons with other industrial consortiums that has resulted in OPC working groups developing companion specifications for the organizations respective information models. Stefan Hoppe studied electrical engineering at the Technical University of Dortmund, Germany. Since 1995 he has worked for BECKHOFF Automation, starting as a software developer in the TwinCAT Automation team. Later as a lead Product Manager his focus was on connectivity and embedded software products. As a renowned global expert on Windows operating systems used in industrial applications, Microsoft has named Hoppe an MVP (Most Valuable Professional) every year since 2009.